The bursting of the great cryptocurrency bubble of 2017 led to huge declines in interest from investors. At its peak, prime broadcasting networks such as CNN and CNBC provided coverage over cryptocurrencies on a daily basis. Such coverage is now spotty at best. However, in contrast to investors and the media, hackers have doubled down on their efforts in scamming unsuspecting users. Cryptocurrency exchanges have been of particular focus to hackers. This is not surprising considering the vast amounts of cryptocurrencies they store. An estimated USD 1 billion was stolen from cryptocurrency exchanges alone in 2018. This compares to the USD 1.5 billion all-time amount hacked from crypto exchanges. Experts believe that the actual figure is considerably higher as exchanges usually under-report the extent of losses. As should be obvious from the above, it is a bad idea to store your cryptocurrencies on exchanges. How then should you go about storing your crypto? Cryptocurrency wallets where you control the keys are the answer. 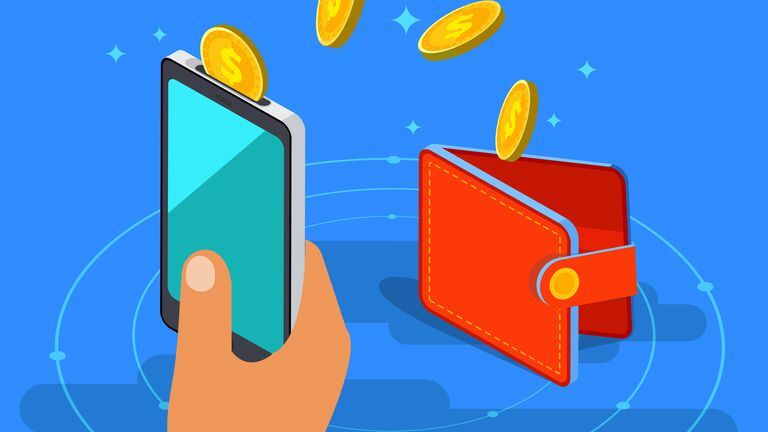 Unlike traditional wallets that we use to store fiat, cryptocurrency wallets do not store any funds. They are devices or programs that help manage your private and public keys. These keys allow users to establish ownership over their crypto on the blockchain. When a user wants to send a transaction to another party, they would use the wallet interface to instruct it to send funds to the recipient. However, once again, funds are not transferred to the other party. Instead, a transaction signed by your private key is broadcasted to the blockchain. Once this transaction is verified by miners, your wallet would update your balance for the transaction. Software wallets. These are applications that are installed on a desktop or PC. While such wallets are often free and offer a high level of security, there have their drawbacks. First, if your computer is infected with malware, you could potentially lose all your funds. This is because your seed is exposed to your desktop environment at the point it is generated (when creating a new wallet) or when you enter it into the software (when restoring an existing wallet). Examples of software wallets include Electrum and the Bitcoin wallet. Mobile wallets. These are largely similar to software wallets. The difference is that they are installed on your mobile phone. They share similar characteristics to software wallets as they are usually free and offer a high level of security. But, they are much more secure than software wallets. This is because operating systems on mobile phones are less complex than those of desktops or PCs. Consequently, the attack surface available to hackers is considerably reduced. Examples of mobile wallets include bitWallet and Samourai. Hardware wallets. Hardware wallets are physical devices, usually in the form of USB, that are used to manage your keys. Hardware wallets offer the highest level of security. This is because their private keys are generated on the device itself. As such, they are never exposed to a desktop environment. They are also designed to keep attack surfaces small to make it difficult for hackers to compromise them. Thus, even if the desktop or PC used to interact with your hardware wallet is completely compromised, your private key and funds would still be safe. Examples of hardware wallets include Ledger and Trezor. Watch-only wallets. Watch-only wallets are those which are created only with the public key. Because they are not created with the private keys, they cannot spend any funds. Thus, watch-only wallets are a great way to monitor your existing funds. But are there risks to creating watch-only wallets? Yes, as when you enter your addresses into your wallets, you may compromise your privacy in the process. Examples of wallets that support watch-only functionality include Electrum and bitWallet. Paper wallets. Such wallets have both their private and public keys printed together. While they are often thought to be the most secure wallets, this is only true if users can securely generate their keys. Most paper wallets are created by users going to a website and performing some random acts which include moving their mouse over their screen to “randomize” the keys generated. However, what many do not consider is the possibility that their web browser or even the website itself could be compromised. Thus, any keys generated, no matter how random, are subject to a lot of risks. Examples of paper wallet generators include Bitaddress. Understand the pros and cons of each wallet. We have broadly outlined this in the previous section. It is unlikely that any one wallet would suit all your needs. Always split funds between hot and cold wallets, with the bulk of your funds to be kept in the latter. For large amounts of crypto, go for a hardware wallet. Smaller amounts can be kept in a mobile wallet. Never store your funds on a cryptocurrency exchange. Unless you are a security professional, never use a brain wallet. For more cryptocurrencies security tips vist us at WhoTookMyCrypto.com.